Do not discount its diminutive size. 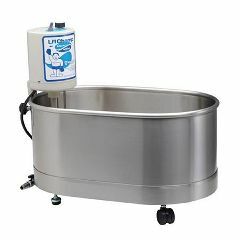 The Little Champ is the most versatile and portable stainless steel whirlpool on the market today. It is designed with podiatrists and hand therapists in mind, with a simplicity aimed to increase ease of operation.